Kärcher Futuretech GmbH, headquartered in Schwaikheim, southwest Germany, was founded in 2005 as a spin-off from Alfred Kärcher GmbH & Co. KG, of which it is an independent subsidiary. 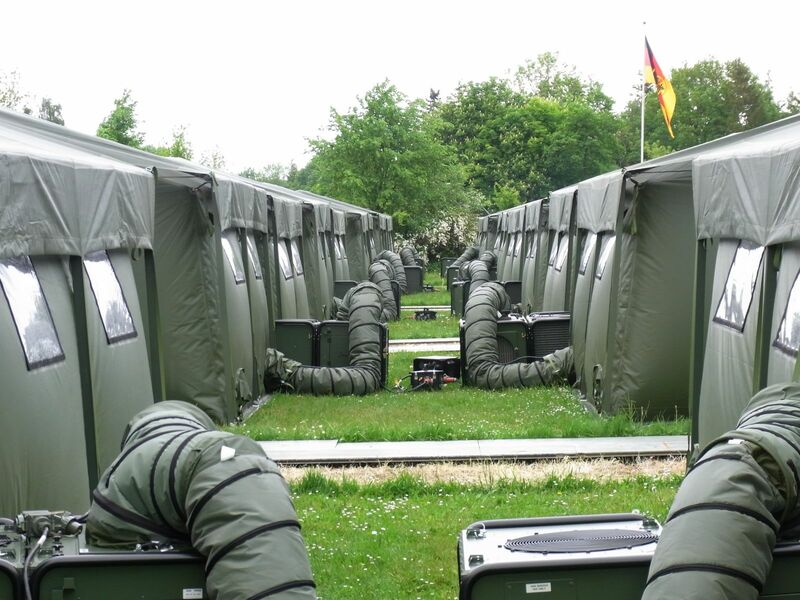 As a globally recognized specialist in protection and supply systems, Kärcher Futuretech operates in the CBRN protection systems, water supply systems, mobile catering systems, field camp systems and services segments. Innovative systems incorporating state-of-the-art technology, a full range of products with a unique quality and exemplary service make Kärcher Futuretech a world market leader in professional systems for peacekeeping forces. Our customized, compact and highly mobile equipment and systems are mainly produced at the Kärcher factory at Obersontheim. In addition to manufacturing products for customers in the Federal Republic of Germany, the company exports primarily to Switzerland, Russia, Luxembourg, the United Kingdom, the United States, the United Arab Emirates, Senegal and Singapore. Kärcher Futuretech has around 140 employees in development, sales, marketing, administration and service. Its managing director is Thomas Popp. We have competence in CBRN and are able to deliver a diverse portfolio. We offer customised solutions for effective defence against atomic, biological and chemical attacks, products in which the main focus is on protecting people and the environment. We deliver clean drinking water. 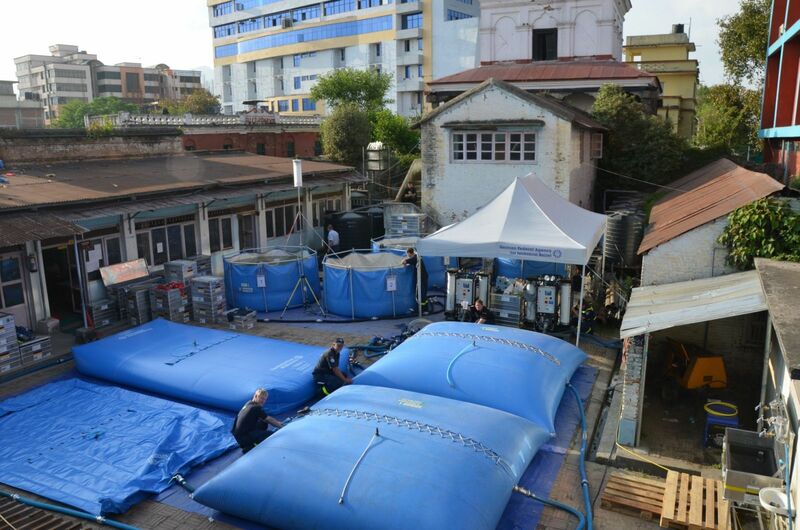 The need for water purification and supply systems is increasing. We offer drinking water with the best quality and in a sufficient quantity wherever needed. We provide the best nutritrion under adverse conditions. 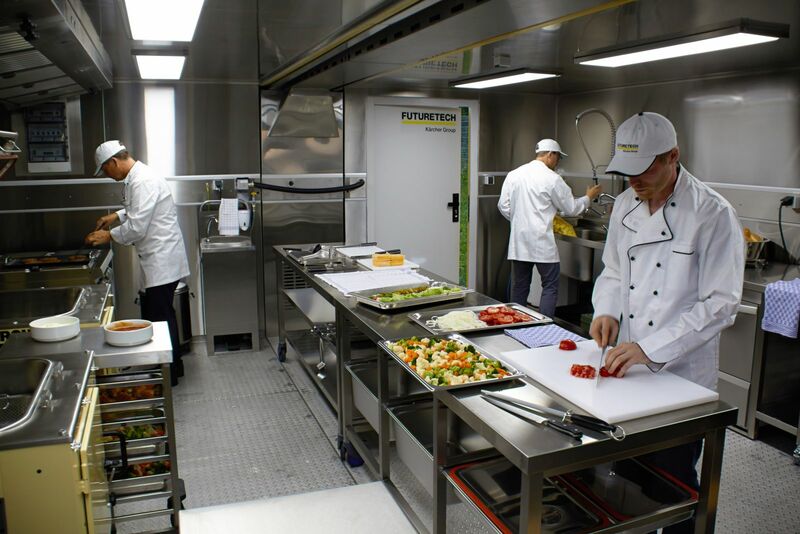 There is no one ideal field kitchen configuration - but our tailored solution options meet your specific mission's deployment and operations scenario. 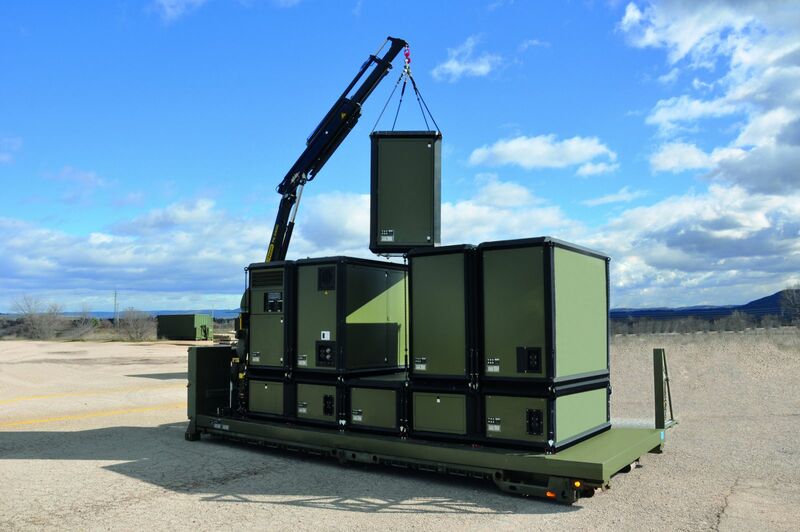 We offer complete systems solution and tailored high quality field camp solutions to support operation missions. The main field camp components include e.g. laundry, sanitation, catering, water supply and waste management.